Here's Why John Boehner Called Senate Staffers "Punks"
Republican Rep. John Boehner has gone on the attack against Senate workers labelling them, “little punk staffers,” in front of an American Bankers Association crowd.Larry Summers, responding to Boehner’s comments, called him out saying that each congressmen receives roughly $1 million from financial services lobbyists. 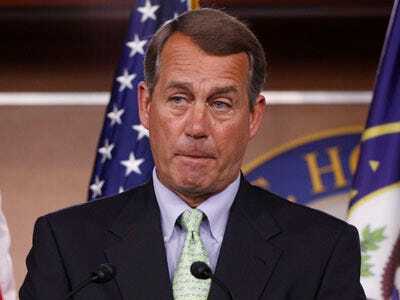 Boehner has received $3.4 million in lobbying money over his career from the financial services industry, according to TruthOut via Market Talk. According to Summers, there are now 4 lobbyists working on every Congressmen trying to court their vote on the Dodd legislation. Who are the real punks here?